Lower Greenville used to be Dallas' hot spot, and business owners hope the city's latest efforts to revitalize it will bring back the sizzle. The city has agreed on a $1.3 million renovation project that would refurbish the streets and sidewalks between Alta Avenue and Bell Street on Greenville Avenue. It would also add trees and lighting to the area. Councilwoman Angela Hunt said the money came from a 2006 bond proposal. "None of this, though, is coming out of general-fund dollars," she said. "None of these funds, for example, would be used for operational expenses for the city. This was reallocated for exactly this purpose." The city approves a multimillion project that includes major street and sidewalk renovations and alcohol rules. Panama Contreras, who owns Kush, said the renovations are a good start. He also said the city shouldn't stop at just one project. "I think it's a good thing," he said. "It shows us taxpayers that our money is going in the right direction instead of dumb, dumb, other things they can do." 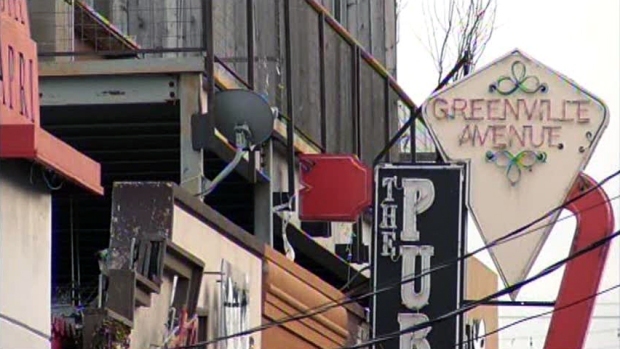 The City Council also approved a measure that would make it mandatory for businesses in Lower Greenville to get a permit to serve booze after midnight. The measure is aimed at bars and clubs that have been involved with recent violence in the area. Businesses would have to go through a public approval process with the city to get the permit. The permit would cost $1,100 and $495 to renew. Ricardo Avila, who owns the restaurant Mextopia, said he would consider getting a permit to stay open later if his customers want to stay longer. "I want them to stay as long as they want," he said. "We may not stay until 2 a.m., but if they want to stay until 12:30 or one o'clock, absolutely, so it's something that I will most likely will obtain." While most of the neighborhood's groups backed the proposals, some individual businesses did not. However, there was no sign of opposition to the plan at Wednesday's council meeting.